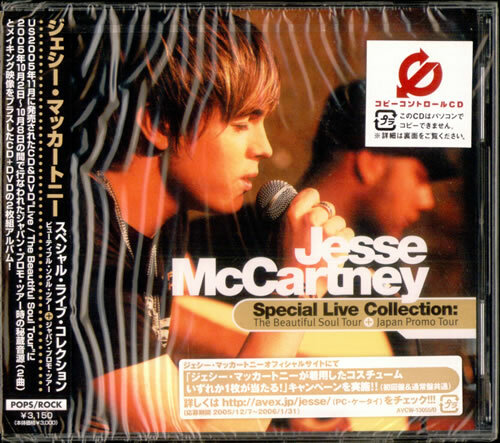 JESSE MCCARTNEY Special Live Collection (Factory Sealed 2005 Japanese advance promotional 29-track 2-CD/DVD set featuring both The Beautiful Soul and Japan Promo Tours. Includes the Bonus Acoustic Versions of Without U and Beautiful Soul as wellas a bonus video of Because You Live. With picture sleeve booklet and custom promo stickered obi-strip AVCW-13055/B). 8. Why Don't You Kiss Her?